Majority of people are moving from Lotus Notes to Office 365, which is understandable since the latter is easier to use. However, the process is quite technical which is why you need an automated Lotus Notes to Office 365 project plan. Nevertheless, we will first explain to you the manual method of Office 365 migration project plan. The main reason why people want to find the Office 365 migration project plan is the comfort it results in. Office 365 is easier to use for all kinds of users and is inexpensive and also low maintenance. That said; let us move on to the steps involved in Lotus Notes to Office 365 project plan. The IMAP connector is often used for Office 365 migration project plan. This step is undertaken to prevent any risk of loss of data in case the process fails midway. It keeps the client reassured regarding the safety of their original data. Then you have to create new mailboxes for every user who has an account in IBM Lotus Notes. In the final step of Office 365, migration project plan use the IMAP connector. Synchronize the mailboxes between Lotus Notes and Office 365. The manual process as the Lotus Notes to Office 365 migration project plan is not recommended by experts since the process is loaded with difficulties. Larger NSF files are not exported. The files larger than 1 GB will not be exported. The protective firewall to Lotus Notes may block the connection to internet. Hassling to people lacking expert knowledge of the task. What if we told you that now you can have your Office 365 migration project plan executed without risk? You will neither have to learn the complex steps not deal with the technicalities involved. 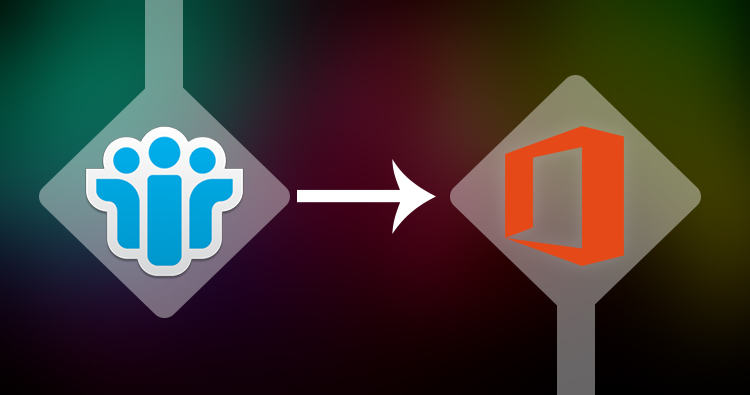 We at Shoviv present to you Lotus Notes to Office 365 Migration. It is automated software which relieves you of all the complexities related to Lotus Notes to Office 365 project plan. It provides flawless results every time tailored according to the need of the clients with its powerful features. The first step it undertakes to prevent unnecessarily lengthy Office 365 migration project plan is adding multiple NSF files. This technique is definitely a benefit over the manual process of dealing with files one by one. A major benefit of using this tool over the manual Office 365 migration project plan is that it provides expert-like results every single time. Its GUI is instrumental in making the process easier for every kind of users. So even technologically naïve users can get desired results with this tool. This tool manages to provide faster results by converting multiple files at once in this Office 365 migration project plan. This is obviously more convenient and faster. In case the user has got large NSF mailbox, the resultant PST files are then split into multiple PST files. This feature is useful when migrating the NSF file and Lotus Domino server into Office 365 and Live Exchange. This facility lets the user change email address according to the destination server’s mail address. This tool prevents any kind of loss of data in Office 365 migration project plan. This is a crucial feature since the manual process is quite affected by this risk. This tool migrates Lotus Notes to Office 365 without tampering any data and keeping them intact through the process. Users of this tool can add multiple Lotus domino mailboxes (NSF files) into Outlook PST calendar. Lotus Notes data can be easily migrated to multiple mailboxes of Live Exchange server. The option of manually mapping NSF files and Live Exchange is available whenever needed. Using this tool as your Office 365 migration project plan you can convert your NSF files to desired format. It helps you store your files into the popular EML and MSG formats. Apart from that, it also features the option to access Lotus Notes items into MS Outlook on Windows and Mac. The Folder Mapping option lets the user migrate items from one folder to another folder easily. It comes handy when migrating lotus notes <mailbox> folder into outlook <inbox> folder, as the name <inbox> folder in lotus notes is called <mailbox> folder. If during the Office 365 migration project plan you need to migrate only selective data then use this feature. It lets you migrate only the selected range of data without extra effort. This tool allows you to look over the progress in the entire Office 365 migration project plan. It includes information about every item exported from Lotus Notes. These features have been added to prevent all the hassle involved in manual Office 365 migration project plan. So let go of all stress, buy this tool today itself. Once you have used it to migrate your files, do not forget to let us know your experiences. If you want to experience the brilliance of this tool right now, you can get the free trial.